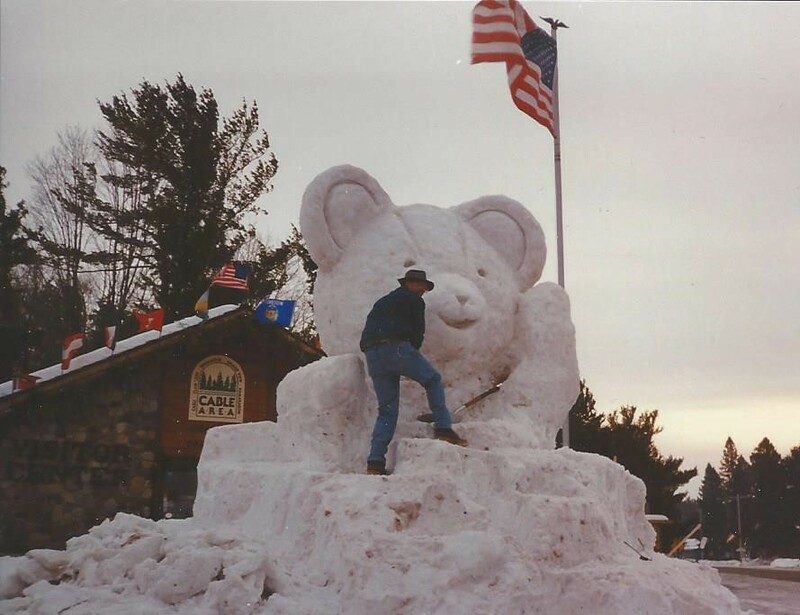 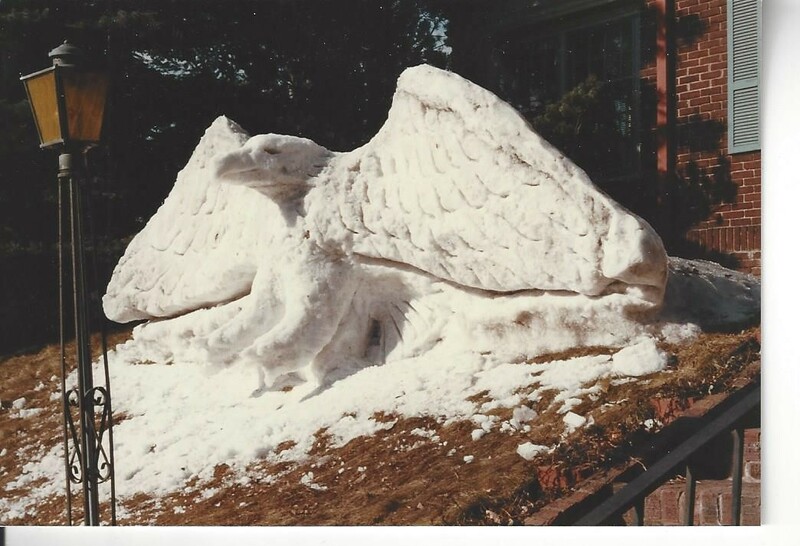 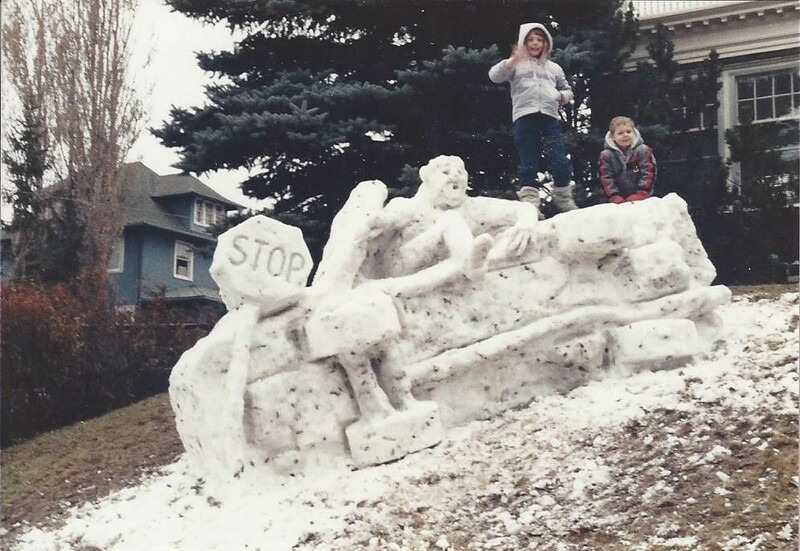 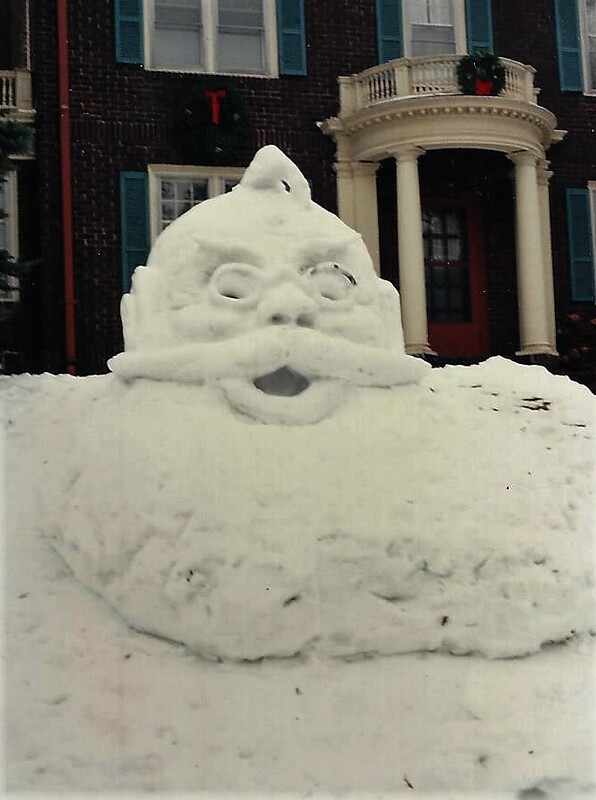 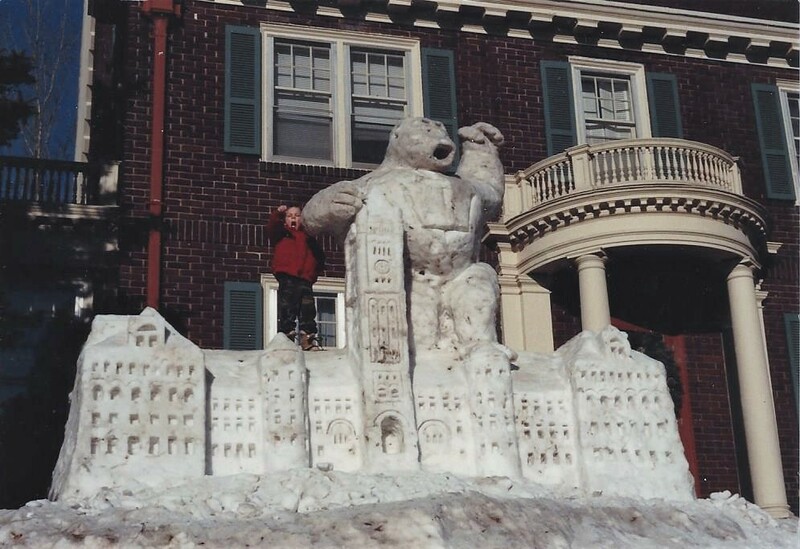 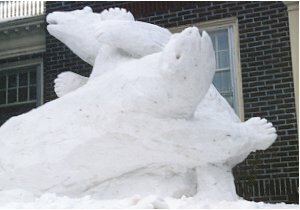 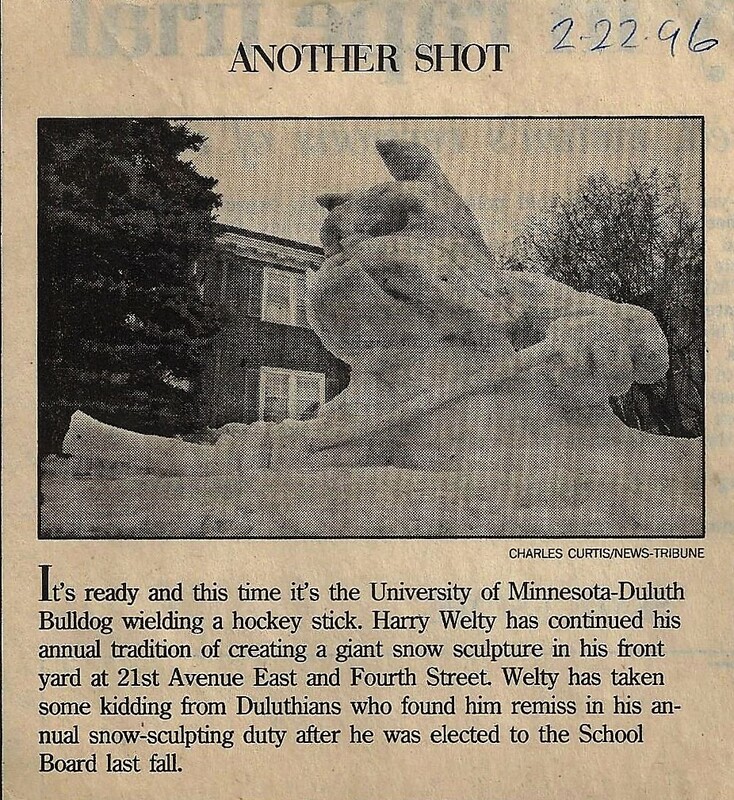 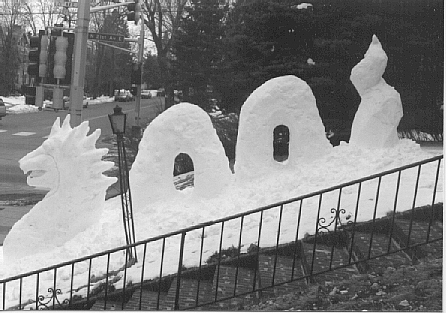 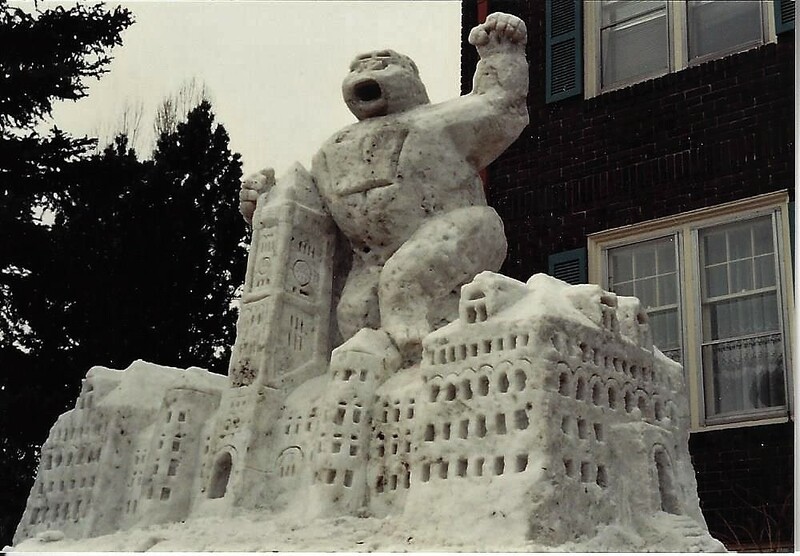 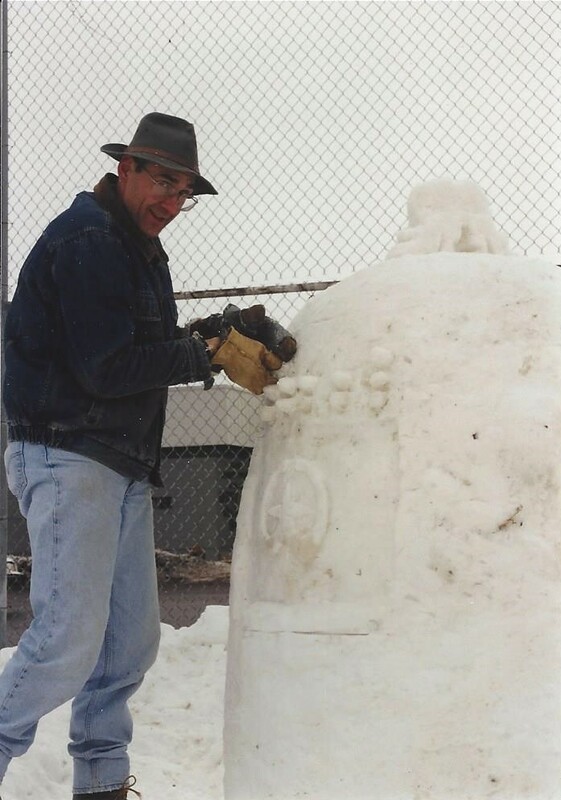 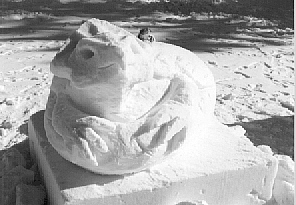 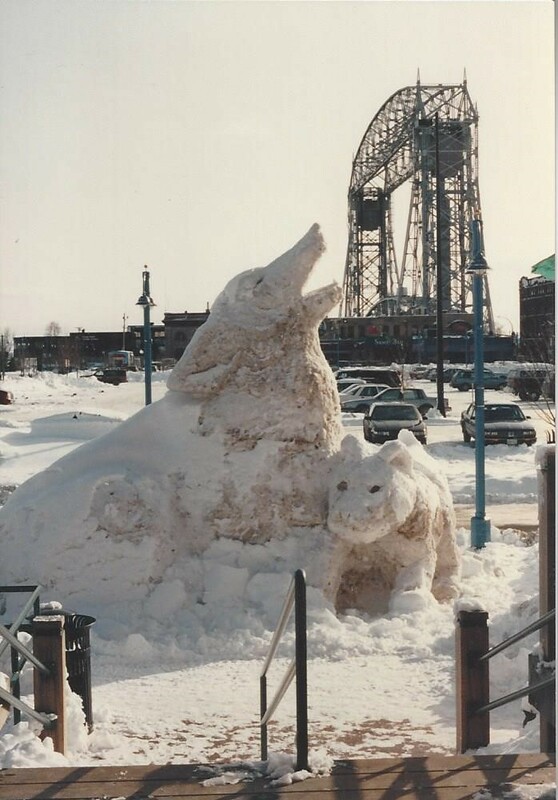 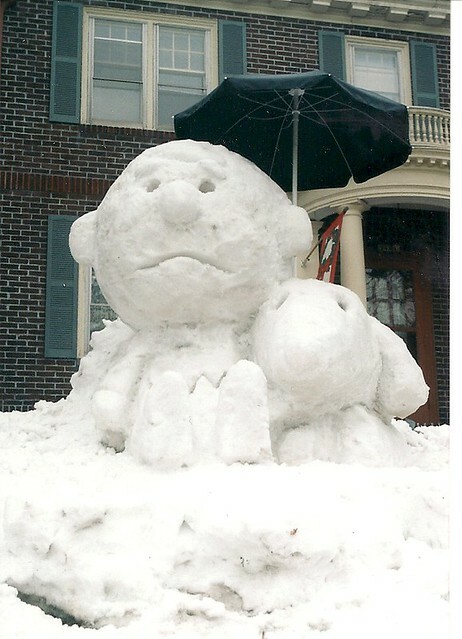 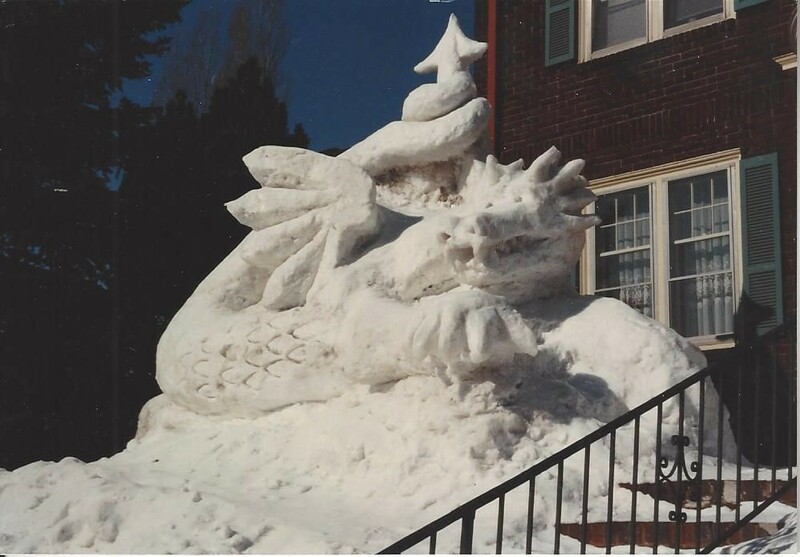 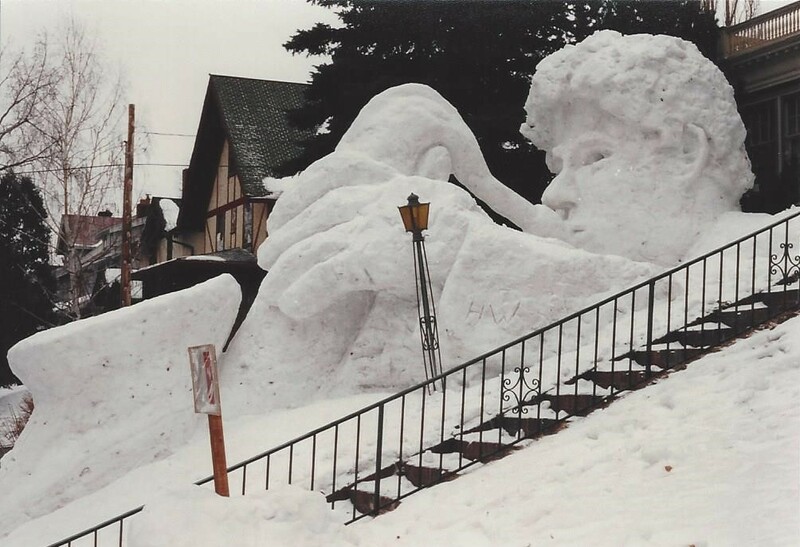 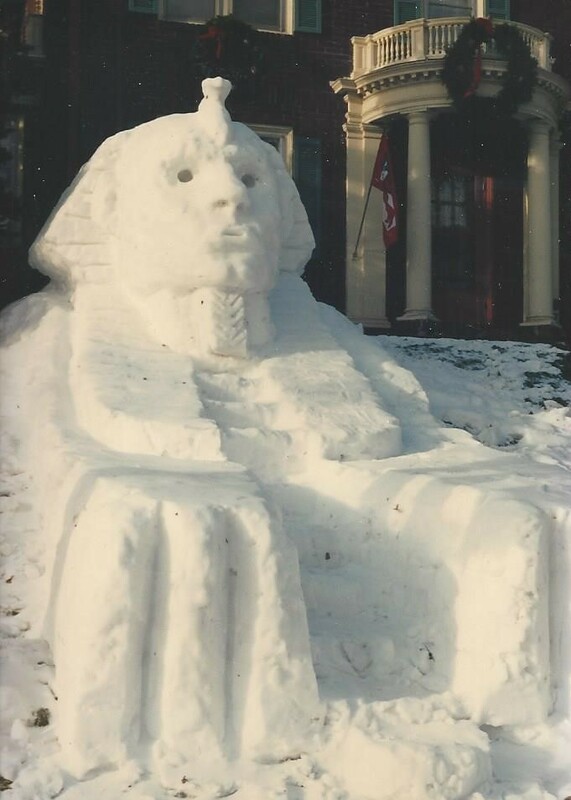 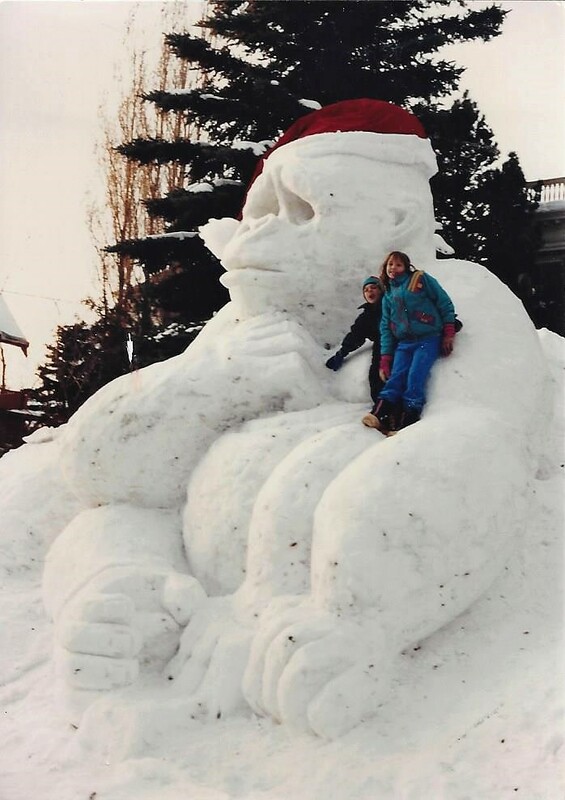 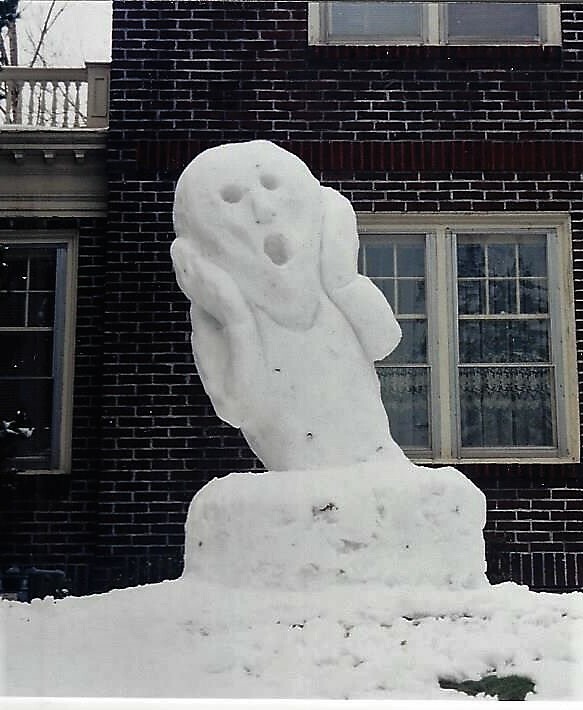 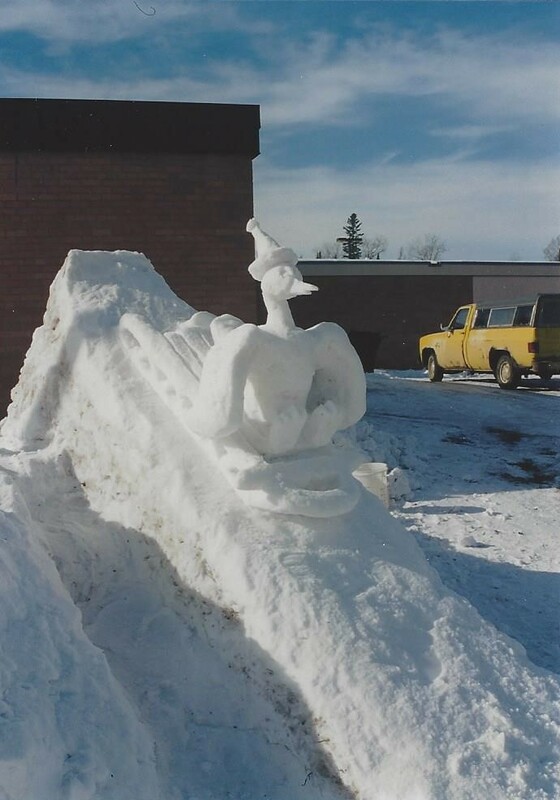 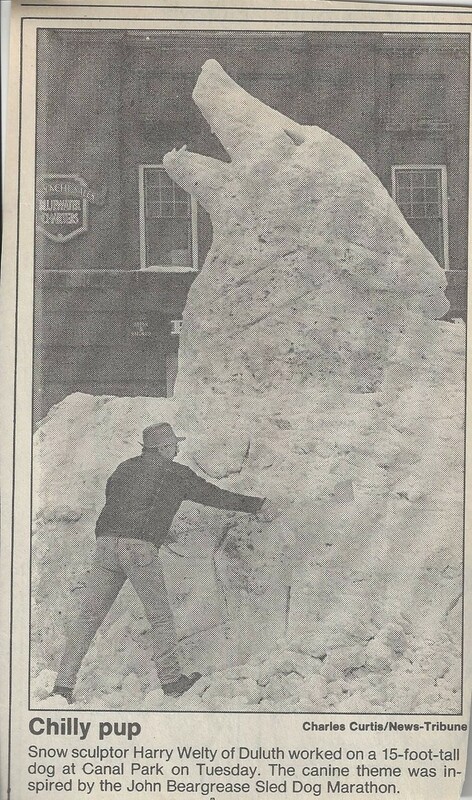 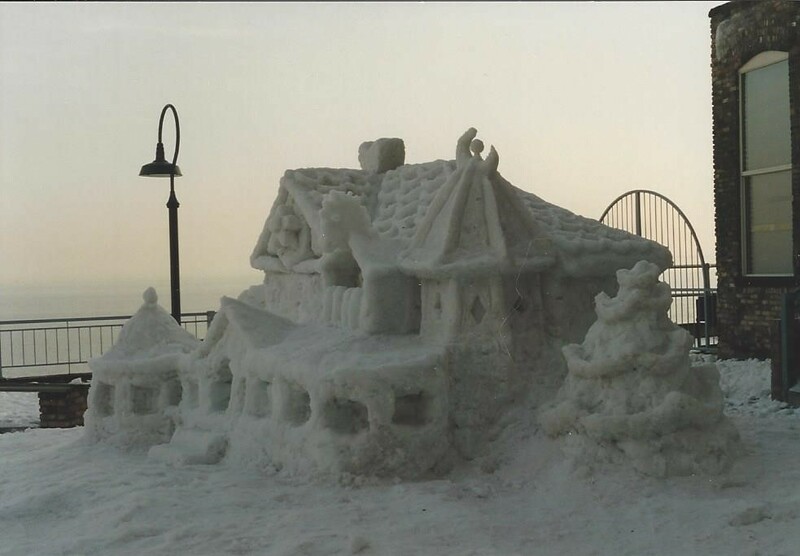 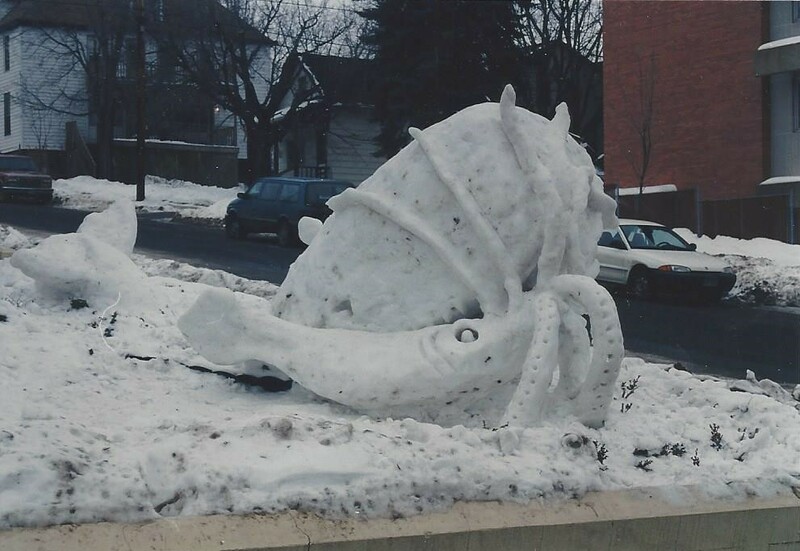 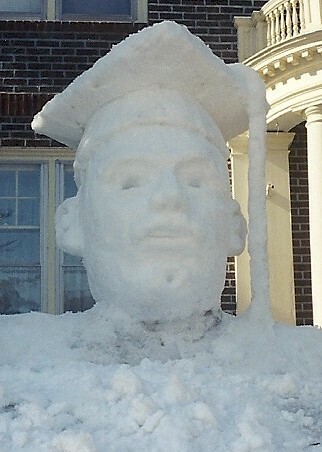 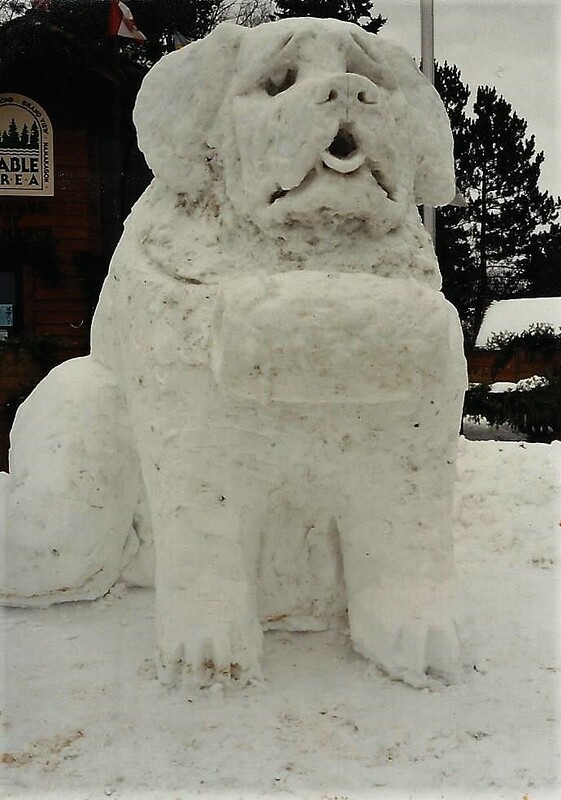 I became an official snow sculptor in the Winter of 1988. 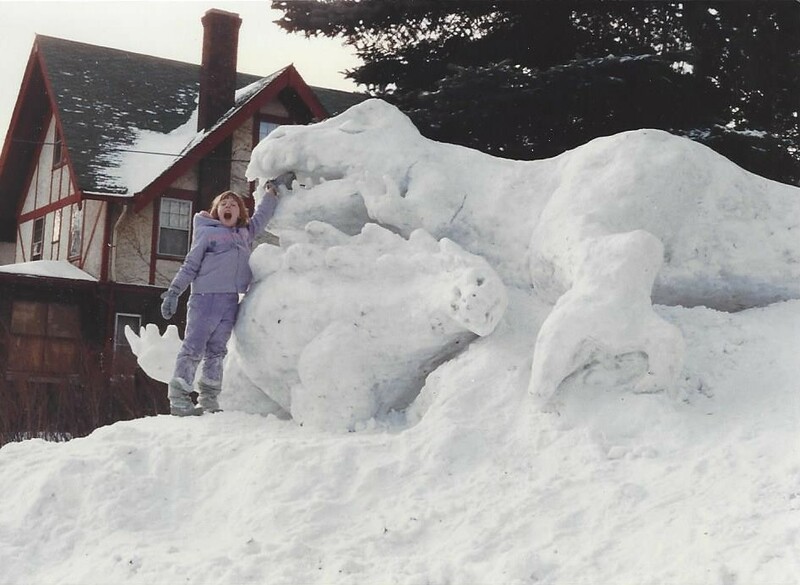 My daughter, Keely, asked me to sculpt a snow dinosaur. 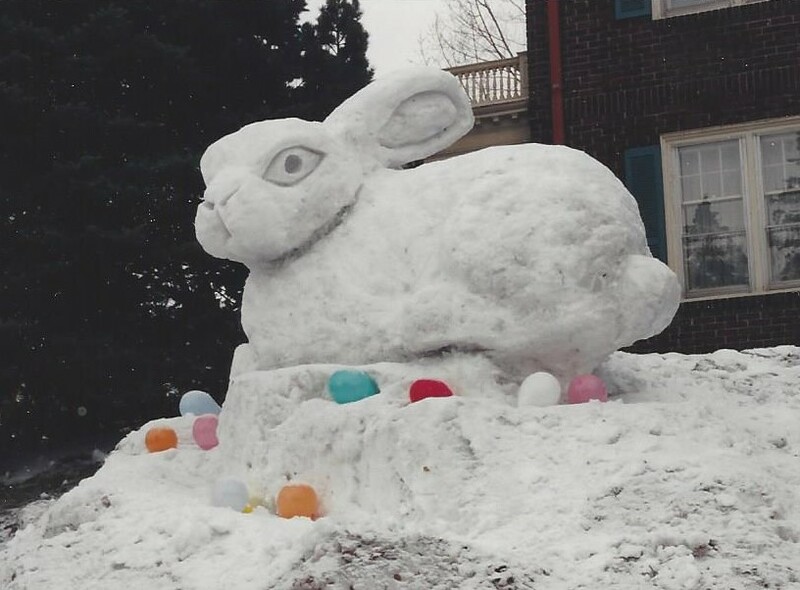 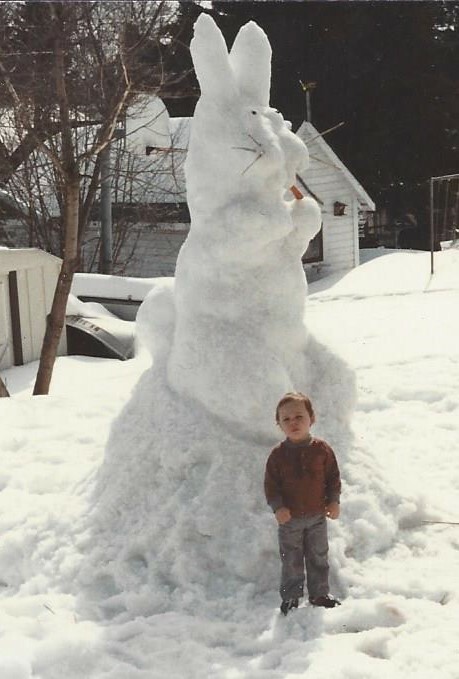 The year before I had made a snow bunny for Easter in the backyard. 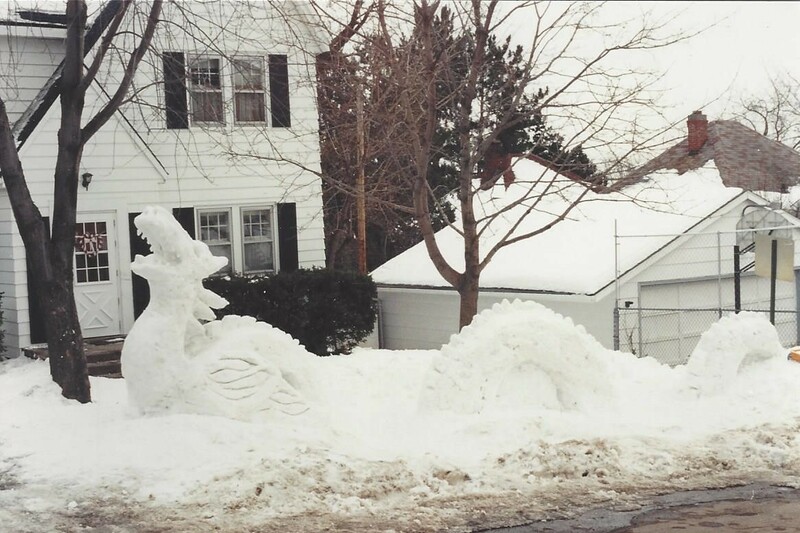 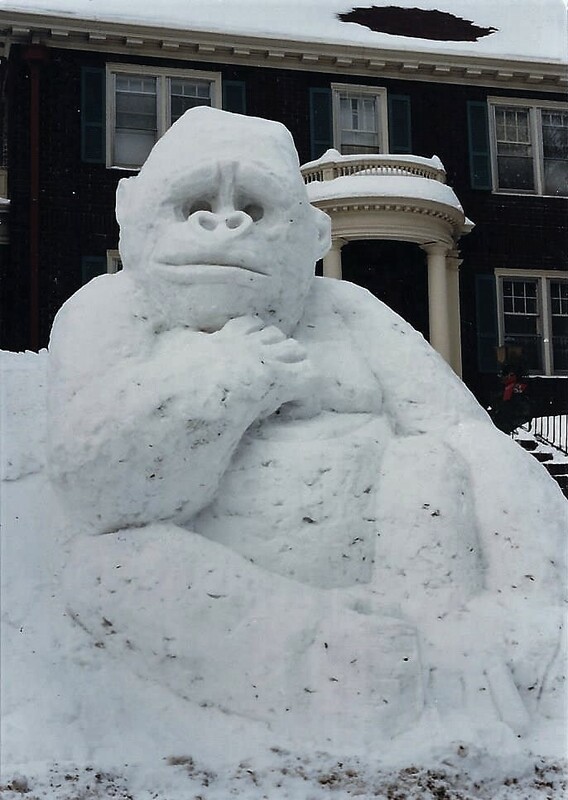 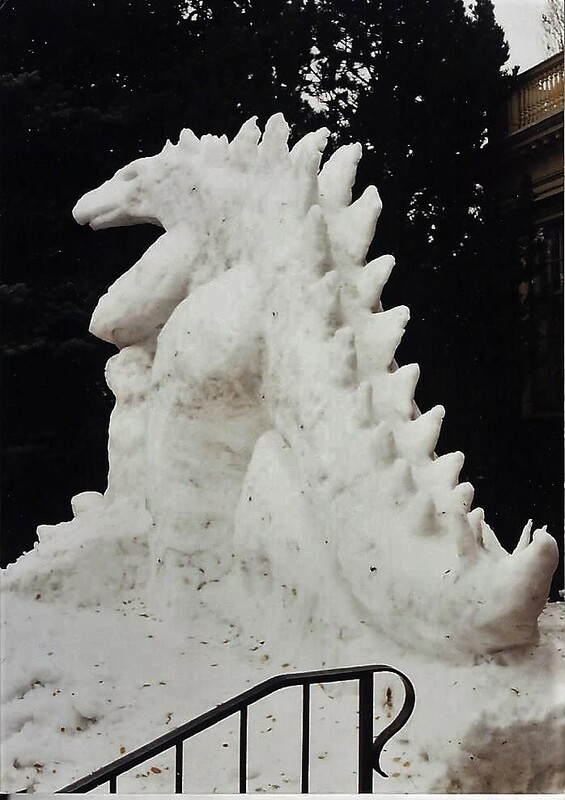 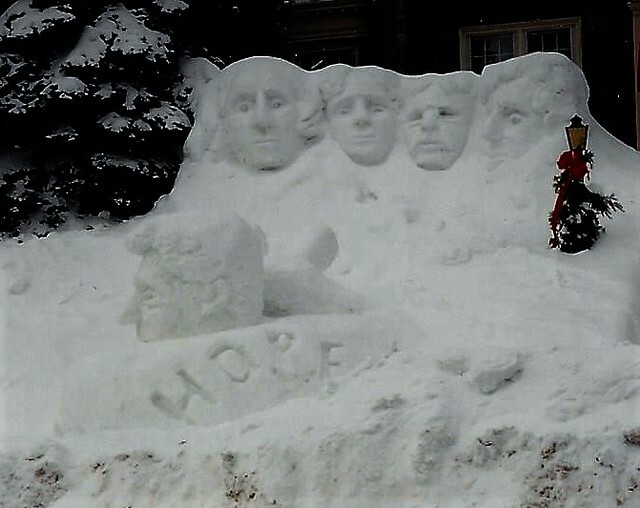 As I contemplated her request I tried to imagine a twenty foot snow tyrannosaurus Rex looming over the heavy traffic that passes our house. 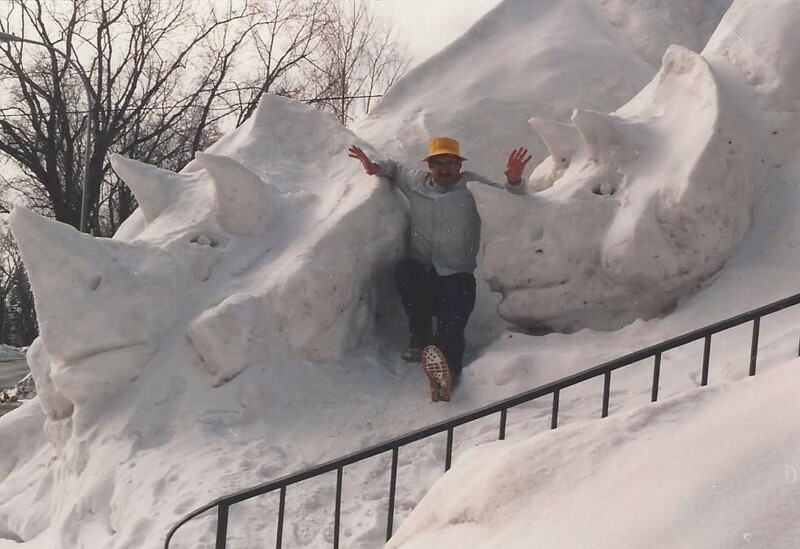 My T Rex was little more than an iguana. 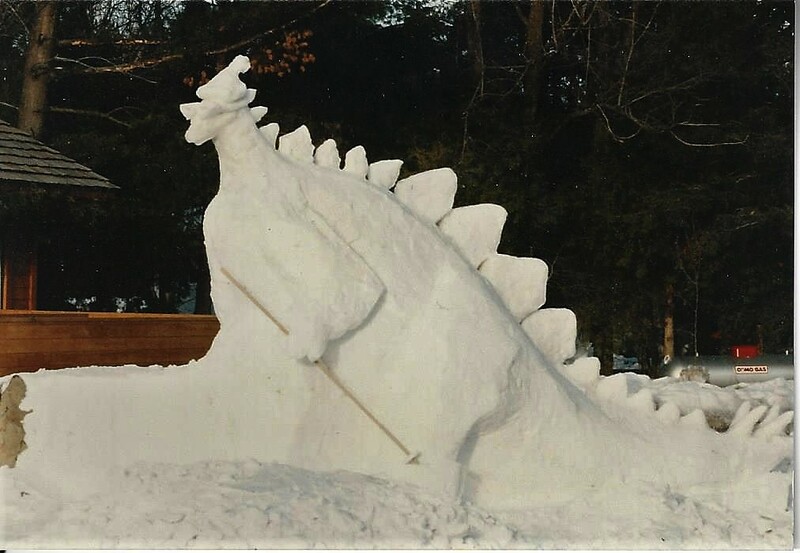 I was pretty embarrassed so I tried to improve my work by carving a stegosaurus beneath the iguana's jaws. 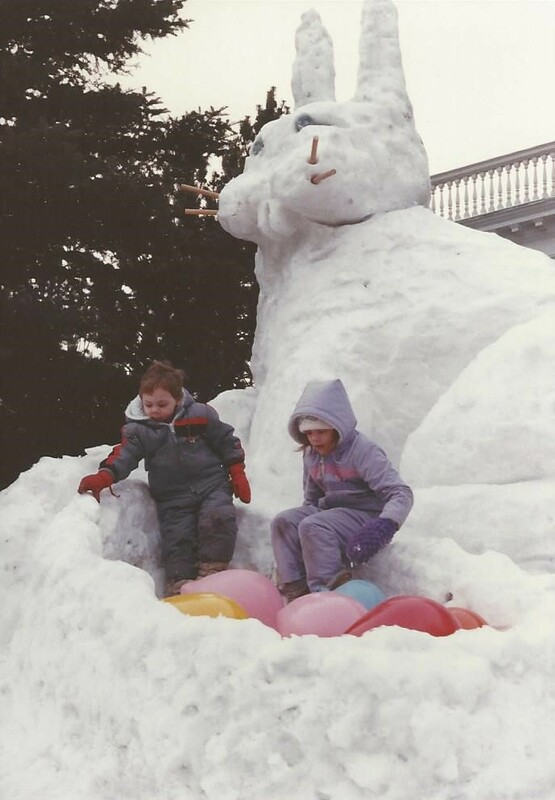 You can see it didn't intimidate my daughter. 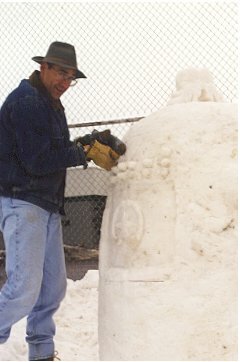 What follows are pictures of most of my creations over the past thirteen years. 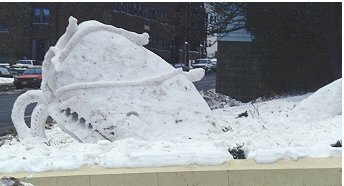 A few of these pictures are thumbnails. 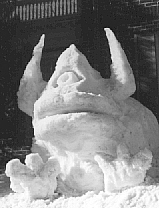 Click them and you can see a larger version. 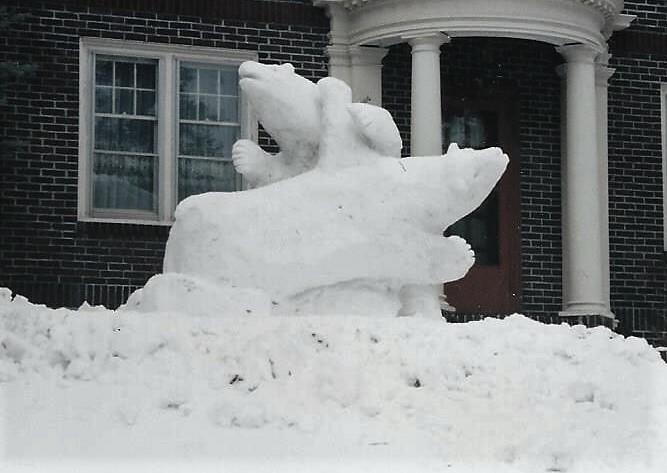 next year at our new house. 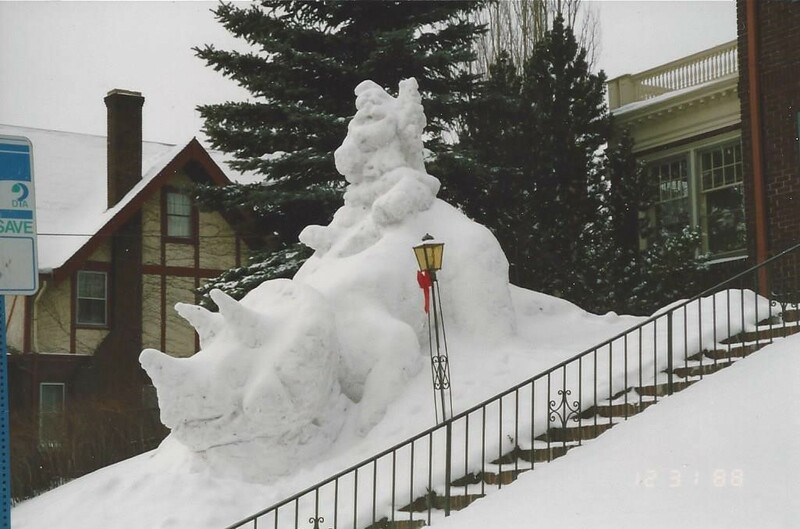 Mommy and Baby Triceratops. 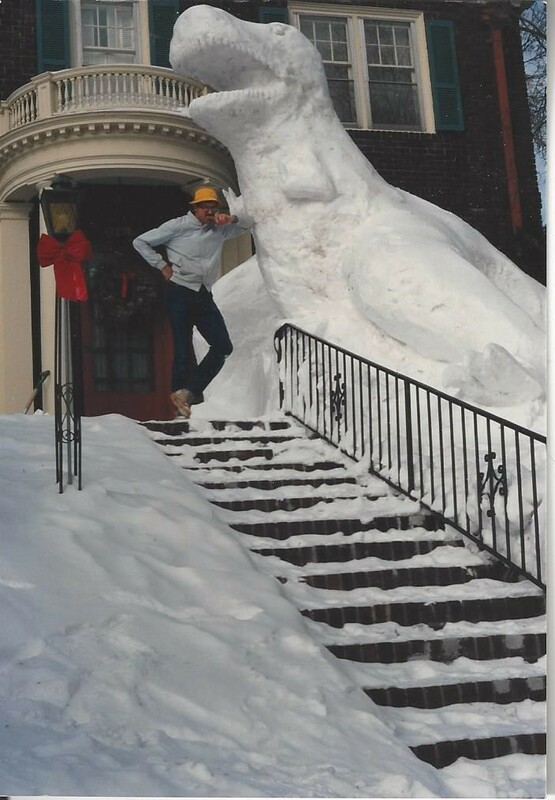 We got a lot of snow this year. 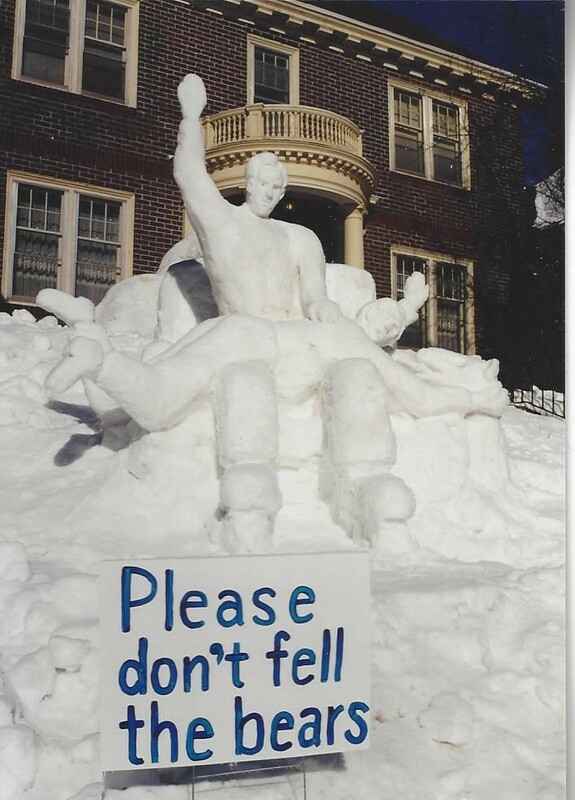 vegetarians on the other side of the steps.